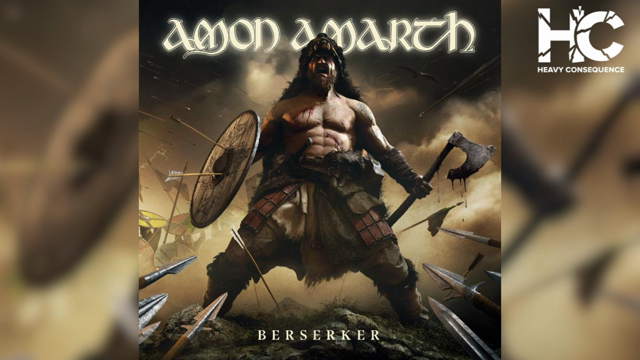 Melodic death metal vikings Amon Amarth are set to unleash their newest opus, Berserker, on May 3rd, having just released an epic video for the first single, “Raven’s Flight”. The Swedish metal band has been delivering the crushing riffs for more than a quarter century, with Berserker being the band’s 12th studio album. In the video interview segment, Hegg and Mikkonen also talk with us about working with producer Jay Ruston on the album, while delving into the first single, “Raven’s Flight”, a song that Hegg told us was inspired by the TV show Vikings on the History Channel. Watch Part 1 of our interview with Amon Amarth below, and be sure to pre-order the band’s Berserker album here. You can also catch Amon Amarth supporting Slayer on the next leg of the thrash metal legends’ farewell tour, which kicks off May 2nd in Phoenix, Arizona. See the dates here, and pick up tickets at this location.